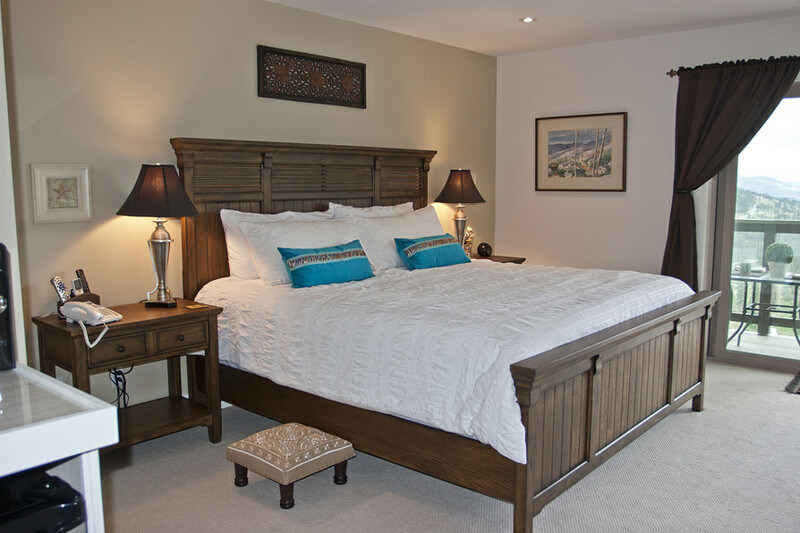 With soft, rippling white linens on a wooden plantation-style king bed, the Island Room has a breezy, tropical feel. 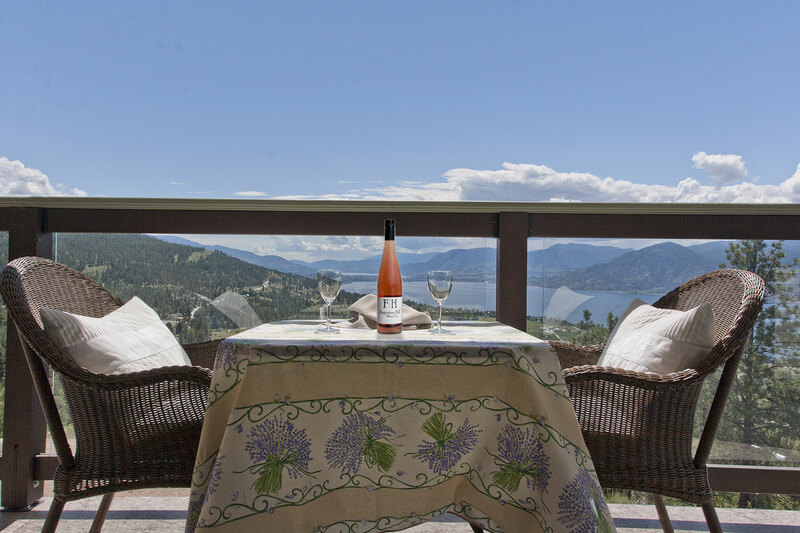 Pops of turquoise, beachy art, and a glorious view that stretches over Naramata, Lake Okanagan, Penticton, Skaha Lake and beyond, make the Island Room a perfect escape. 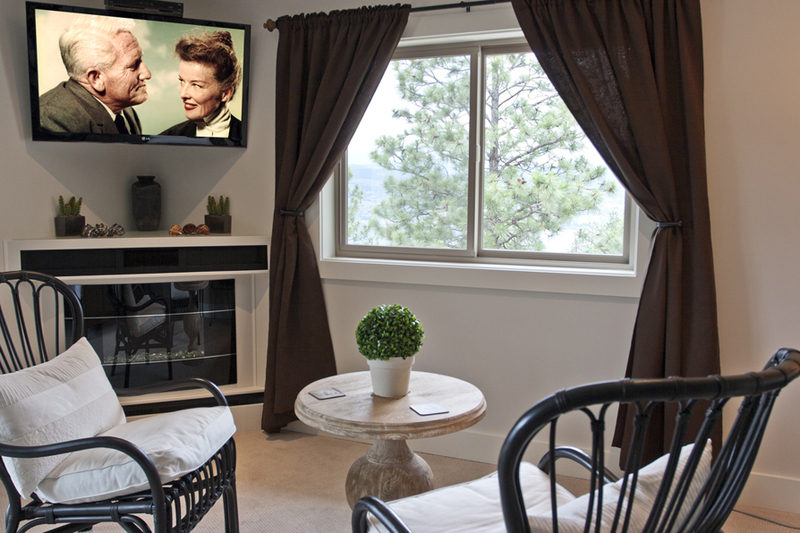 Relax on your private balcony, feet up, sipping a delicious local white and savour the view. Watch the sun travel through the sky. Take a little nap. Then crack a bottle of red, and follow the moon’s progress. Hey, you’re on vacation, after all. 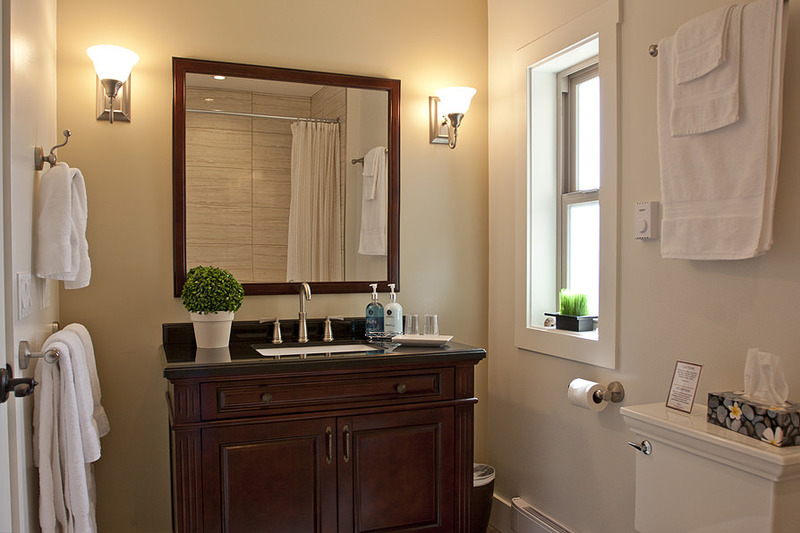 The Island Room has a full ensuite with a 66″ long soaker tub and shower, is approx. 373 sq. ft. and is upstairs, on the first floor.